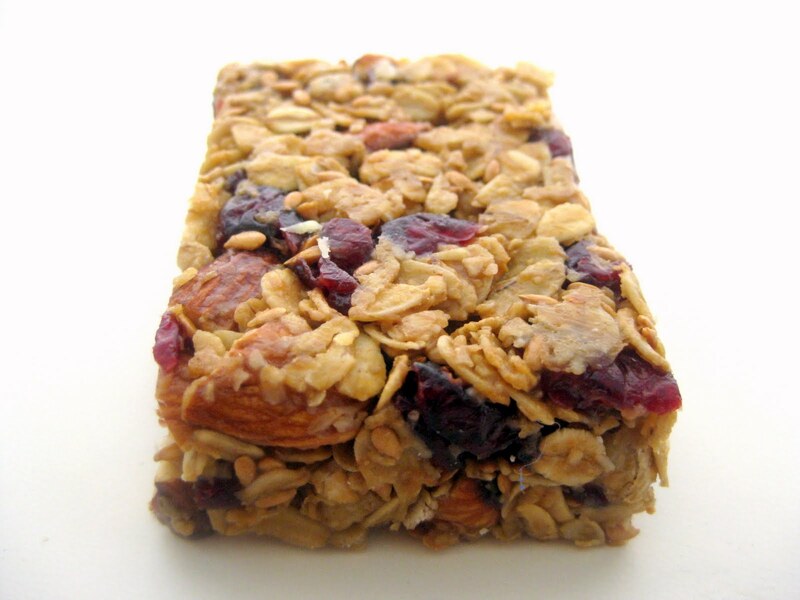 Granola bars are a great portable, healthy breakfast or snack for people on the go. They are perfect for road trips, camping, picnics, or a quick pre-exercise meal. This week our family is going camping on Catalina Island, so I figured I would make a batch of these granola bars to take along. 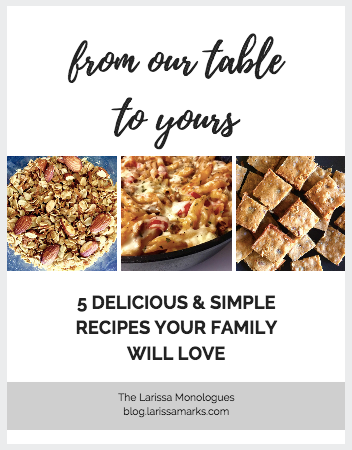 This family favorite is an extremely simple recipe, and can be altered to fit your personal preferences. If you don’t like cranberries, they can be swapped for any other dried fruit. Or for a less sweet granola bar, the brown sugar can be decreased. Try these yummy granola bars out yourself! Butter a 9×9-inch baking dish and line it with parchment paper. Preheat the oven to 350 degrees. Spread oats onto a sheet pan. Place in the oven and toast for 10 minutes, stirring occasionally. Add sesame or flax seeds and toast for another 2 minutes. In the meantime, combine the honey, brown sugar, peanut butter, vanilla and salt in a saucepan and place over medium heat. Cook until combined. Once the oat mixture is done, remove it from the oven and immediately add it into the liquid mixture, add the cranberries and almonds, and stir to combine. Turn mixture out into the prepared baking dish and press down, evenly distributing the mixture in the dish. Cool completely and cut into squares and store in an airtight container for up to two weeks.